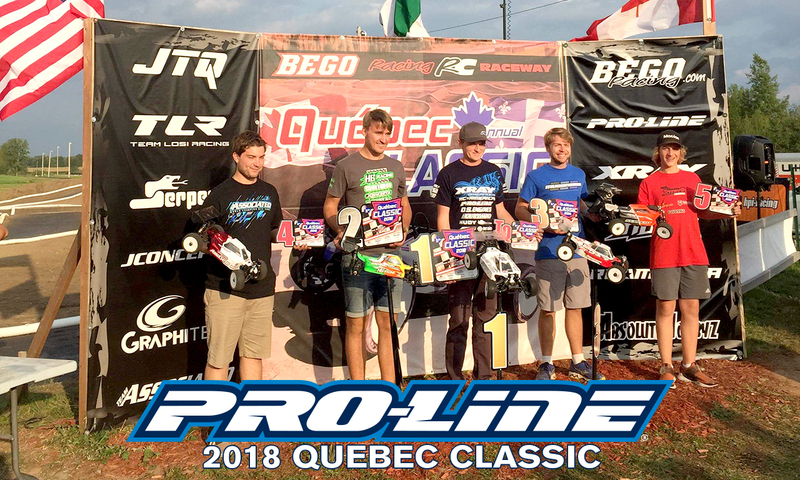 This past weekend we flew across the country to Napierville, Quebec for the 2018 Quebec Classic held at the BegoRC Raceway. The facility was great with a drag strip right beside it. The track was a lot of fun with just enough challenge to keep you on your toes. 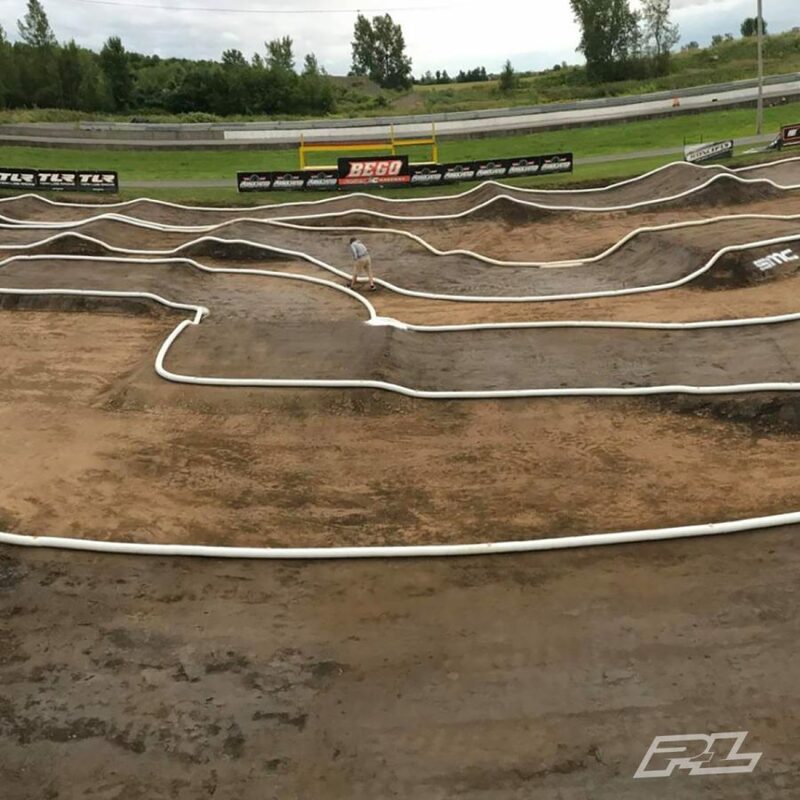 The track surface was very unique but in my opinion it was also very consistent throughout the day and held up very well. Your car came off clean after your run and there was virtually no tire wear which made for a reallly good racing surface from a club level all the way up to a high profile international race level. 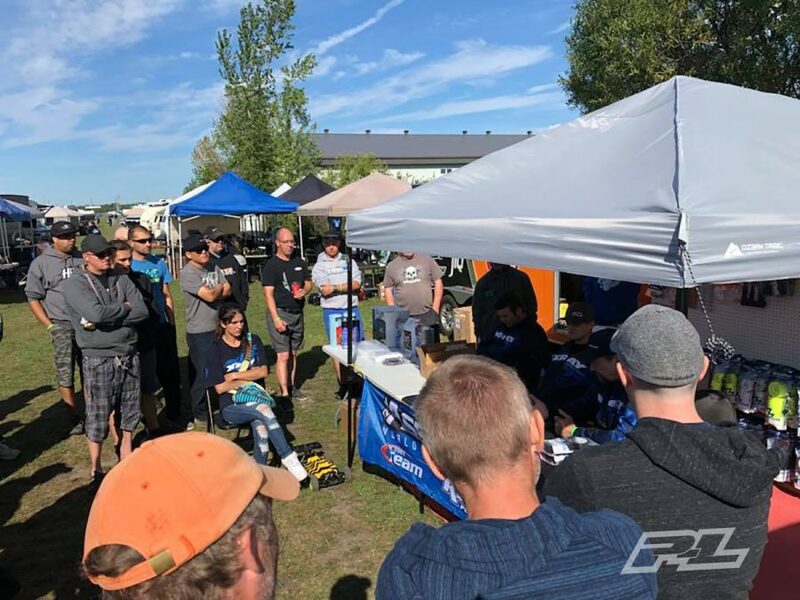 Thursday was open practice and we decided to do a clinic in the morning for any of the drivers that wanted to attend to ask questions or get help with setup. Once the clinic was over we got on the track for some practice, we worked on the setup and got the cars feeling really good. Friday was controlled practice with one qualifier later in the afternoon, my cars felt good, I was ready and feeling confident. 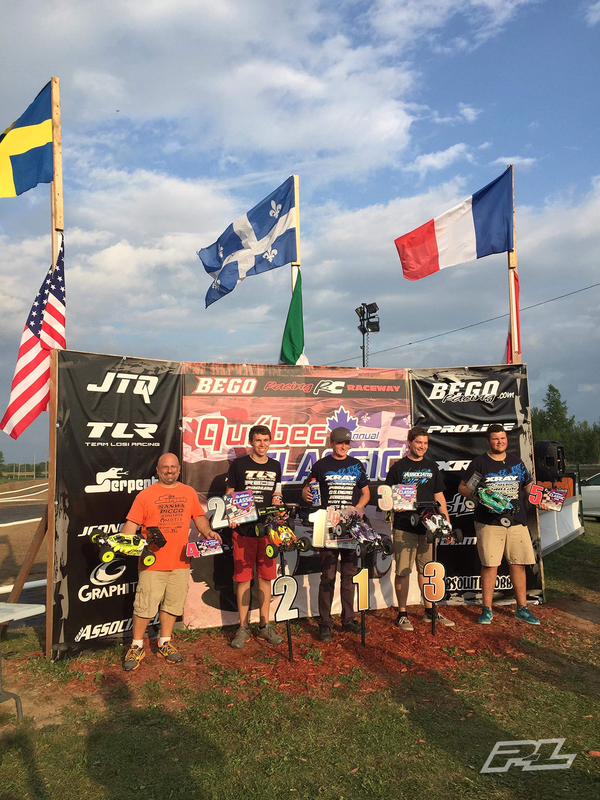 I was able to TQ the first round of both E-Buggy and Nitro Buggy. Saturday we had two more rounds of qualifying and then they held a 10-minute super pole race to determine starting positions on the grid for nitro buggy. 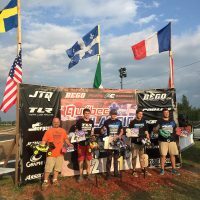 I was able to TQ both rounds of ebuggy and nitro buggy on Saturday to take the overall TQ with David Ronnefalk qualifying 2nd overall in both classes. I was also able to win the super pole race and start 1st on the grid for the main on Sunday with David lining up in the 2nd spot. 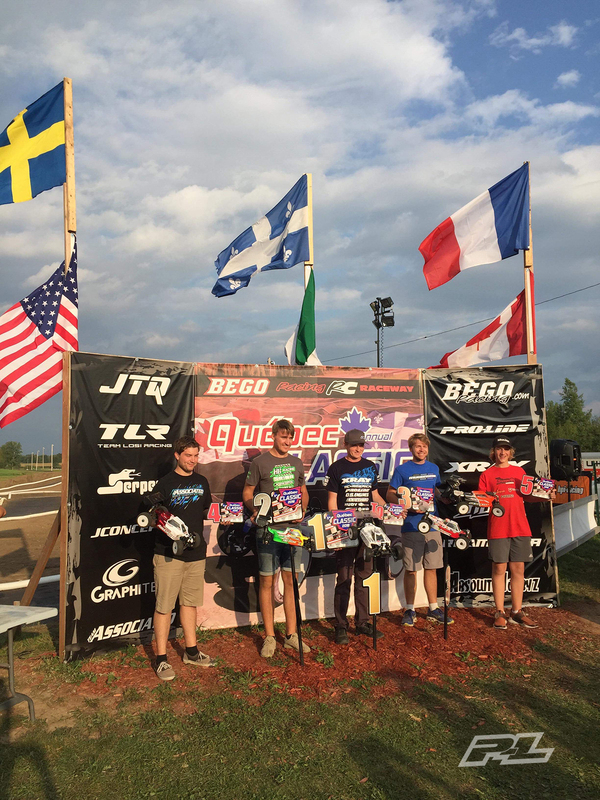 On Sunday first up was E buggy A1, David and I slowly pulled away from the field, early on in the race David made a mistake which allowed me to create a gap to take the win. A2 was up next for me, again David and I would pull away from the field, early in the race I went a little wide on the hip jump and David took over the lead, I stayed very close to him and felt confident in my car and knew I would just wait until we got a bigger gap from the field before I would try a pass, before too long he made a mistake which allowed me to regain the lead and get the win in A2. This gave me the overall win in the ebuggy class. Nitro buggy A main was up next, this was a 45 minute main, again my car felt amazing, on the first lap David would make a mistake and would allow me to create a bit of a gap, I could see where he was on the track so I just maintained my speed to keep the gap consistent throughout the race. Unfortunately with about 5 minutes left to go, David would have an incident that would cause his race to be over, and I went on to take the win. I want to especially thank Jerome Treignier for making this race happen for us and looking after everything we needed. A great big thank you to the Sousa’s for their hospitality, thanks Natalie for the home cooked meals all weekend, I am sure we have gained a few pounds. Thanks to Stever Lamoureux for letting us use his truck this weekend to get to and from the hotel. If you have gone to this race yet, I suggest you put it on your calendar for next year, you won’t be disappointed. 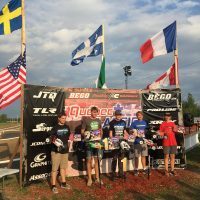 I want to thank my sponsors for providing me with the best products to race witgh. 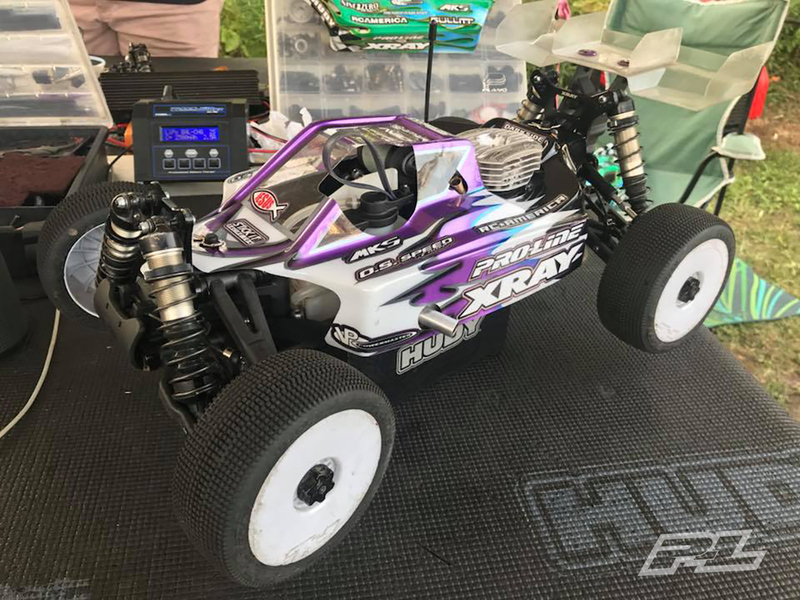 Xray, RC America, Pro-Line, OS Engines, Hobbywing, MKS, VP Fuel, A Main Hobbies, Protek RC, Hudy, Lunsford, Avid, StickIt 1, Darkside Designs, 110% Racing, MR33, Live RC, Red RC. Thanks to my family for always being there for me and supporting me, and most importantly I want to thank my my Lord and Saviour Jesus Christ, I wouldn’t be here without him.